This buzzy, if familiar spin-off swaps the convoluted mythology of ‘Transformers’ for simpler storytelling with bags of charm. The last four ‘Transformers’ films have been a mess of clashing metal, crashing sound and little in the way of coherence. ‘Bumblebee’ was conceived as a spin-off, but emerges as more of a reboot of sorts: a return to the kid-and-a-car conceit of the first film. In fact, director Travis Knight (‘Kubo and the Two Strings’) takes the franchise further, back to ’80s Amblin movies like ‘ET’ and ‘The Goonies’ and the original Hasbro toy designs. The result is an entry in this franchise that won’t give you a headache. Hailee Steinfeld plays Charlie, a tomboyish 18-year-old mourning her dad. Mechanically inclined and desperate for a car, she brings home a beaten-up VW Beetle that turns out to be a robot alien from the planet Cybertron. Cue an unlikely friendship threatened by John Cena’s uptight military man and two enemy Decepticons (voiced by Angela Bassett and Justin Theroux). Many of the beats are familiar from ‘ET’ and its legion of imitators. There’s the shady government types, pop-culture bonding and some innocent destruction (half of Charlie’s family home bites the dust). But Steinfeld holds the attention even when acting opposite imaginary metal, and Knight builds her connection to Bumblebee via a shared sense of loss and some smart visual touches. 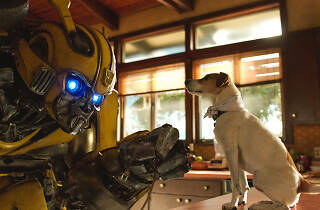 And for ‘Transformers’ fans, there’s still action galore. 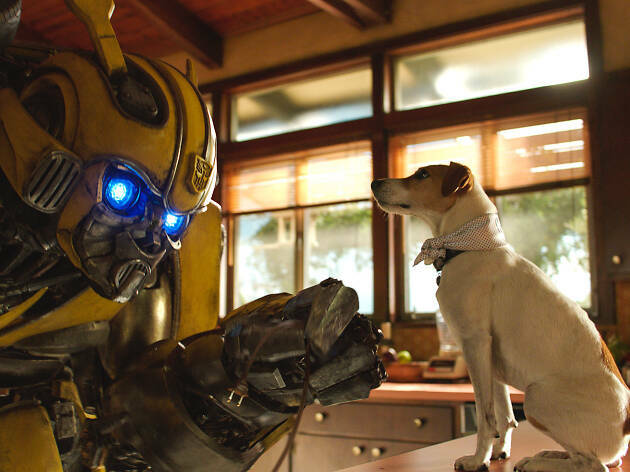 If ‘Bumblebee’ doesn’t exactly reinvent the wheel, sometimes a good heart is enough.